The OCP regional summit is taking place this week in Amsterdam, Netherlands. This shows how the project has grown from a small summit in the San Jose to now having regional versions. As part of the growing project, Inspur and the Open Compute Project are announcing five new OCP node configurations. These new Inspur OCP Standard rack server solutions encompass a GPU box, a JBOD, and three compute nodes. The new Inspur ON5266M5 is a 2OU JBOD 34x hard drive, system. The Inspur ON5266M5 supports both hard drive and SSDs. The JBOD can be attached to compute nodes directly providing disaggregation between mass storage media and compute nodes. With a SAS switch, it can be used to provide a storage pool to an entire OCP rack. The Inspur ON5266M5 design uses a slide-out tray to make servicing hard drives easier. The Inspur San Jose motherboard is the first OCP accepted Intel Xeon Scalable processor motherboard. 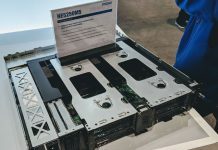 Based on the Inspur San Jose OCP motherboard design the company is releasing three new compute nodes: the Inspur ON5263M5, ON5283M5, and ON5273M5. 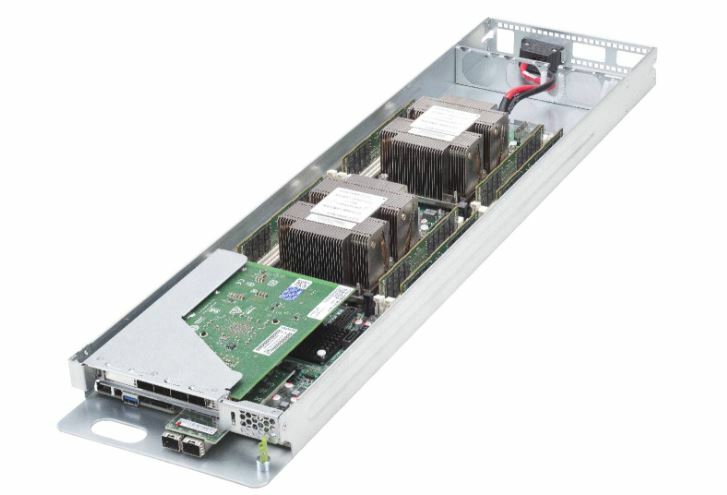 The Inspur ON5163M5 is a high-density OCP compute node that fits dual Intel Xeon Scalable CPUs in a 1OU3 form factor. With this, 96 nodes can be deployed into a standard Open Rack V2 cabinet. Supporting 16x DIMMs, an M.2 slot, an OCP NIC slot, and a PCIe x16 slot the Inspur ON5163M5. The goal with this configuration is to provide a maximum number of CPUs per rack. Designed for NFV applications, the Inspur ON5273M5 is designed to take a number of different expansion configurations. The Inspur ON5273M5 is a 2OU3 node form factor. It supports up to 16x DIMMs, dual M.2 slot, two 2.5” NVMe SSDs, and two PCIe x16 cards. 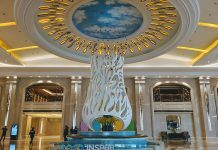 The Inspur ON5283M5 is focused on having the maximum I/O expansion in a dual Intel Xeon Scalable platform. 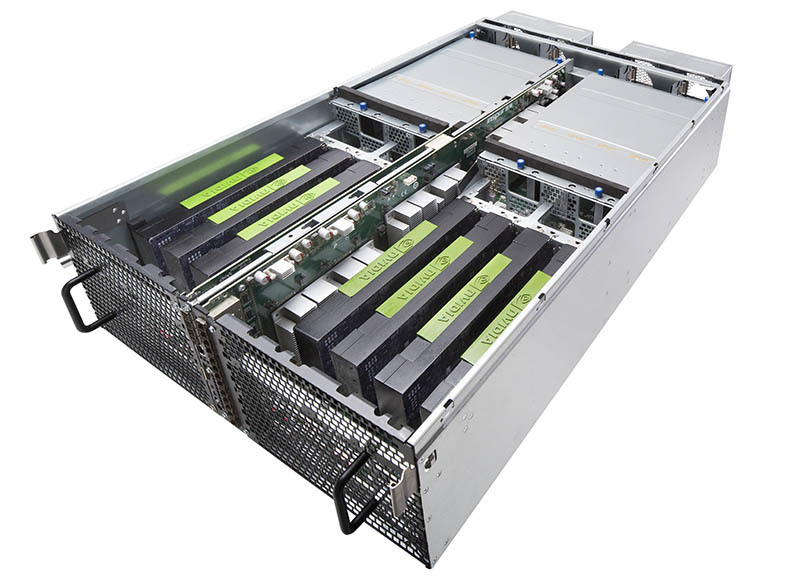 This is a 2OU3 node also supporting 16x DIMMs, an M.2 slot, four 2.5” HDD/NVMe drives, and three PCIe x8 slots. 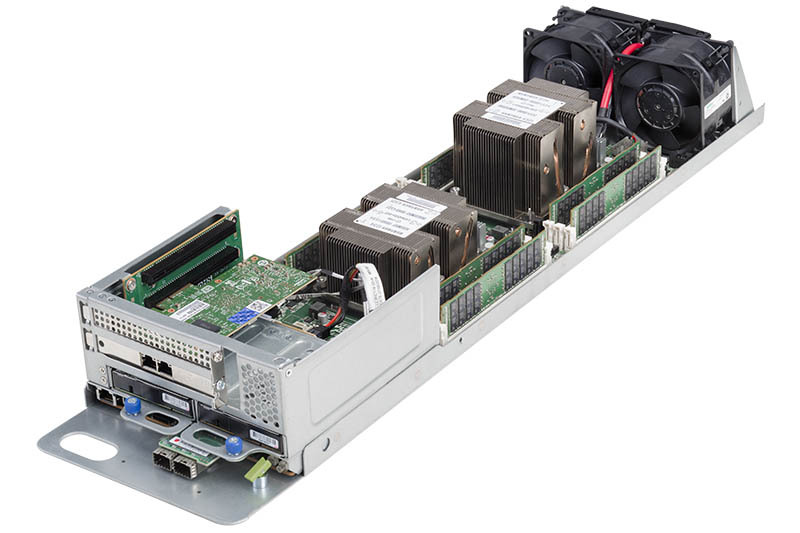 PCIe expansion is also designed to support external I/O expansion options. The race to fit more GPUs in a rack is officially on. Sporting up to sixteen GPUs in 4OUs this is a dense GPU solution designed for modern data centers. As we are seeing more hyper-scale customers, and even sub-hyper-scale customers demand, the Inspur ON5488M5 has a PCIe switch architecture to support multiple topologies which allows different allocations to one or more servers. These systems are designed for next-generation Open Compute installations of Inspur’s hyper-scale customers. We are seeing more interest in Open Compute solutions as we see more customers trying OCP clusters and the next-generation telecom industry is also working with the OCP foundation for future software defined networks.